Jenesha Robert is a graduating member of our Black & Latino Achi evers program — a program which provides leadership, career readiness, and college preparation support to our middle school and high school youth. 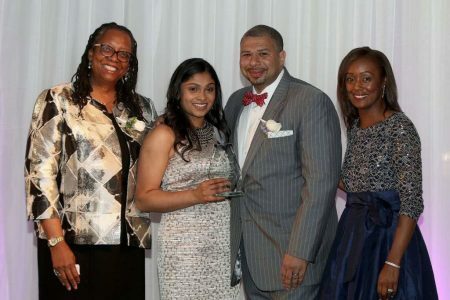 Because of all of Jenesha’s hard work, she earned a full-ride scholarship to St. Lawrence University, and was honored as this year’s Achiever of the Year at our annual Black and Latino Achiever’s Banquet. 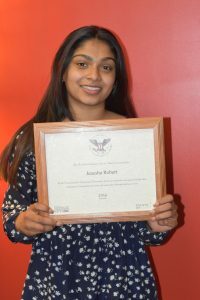 Most recently, Jenesha was awarded the President’s Volunteer Service Award, a nationally recognized honor that came with a signed letter from Barrack Obama. This is not an easy award to earn. It took a lot of hard work and a little help from Vicki Feola, the Membership Director at the Schenectady location, as it was Vicki who suggested that Jenesha apply. The award was no small feat. Jenesha endured a rigorous application process including a short essay, long essay, and a log of all of her volunteer hours. A lot of the experiences that Jenesha had can be traced back to her time spent at the YMCA, where she first started participating in Y programs her sophomore year. From there, Jenesha met a ton of new friends and bonded with new mentors who encouraged her to try the Black and Latino Achievers, which she joined the following year. Jenesha has worked extremely hard throughout her high school career to help improve her community. She volunteers at Proctor’s, participates in volunteer activities for both the YMCA Black and Latino Achievers and Youth and Government Programs, sings in her church choir, and is part of Girl’s Circle at her school. 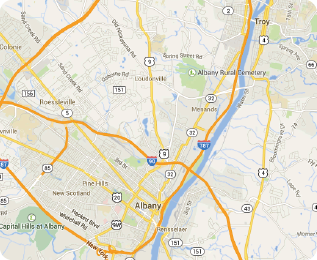 One of Jenesha’s favorite volunteer groups is the Schenectady Foundation’s Youth Advisory Council, a high school service project, where the group proposed a grant to do research based on the wants and needs of the students at Schenectady High School, with the hopes of using this information to strengthen the Y and other local youth centers. Not only is Jenesha looking to make a change on a local level, but she is also hoping to make national change. That’s exactly what she plans to do. 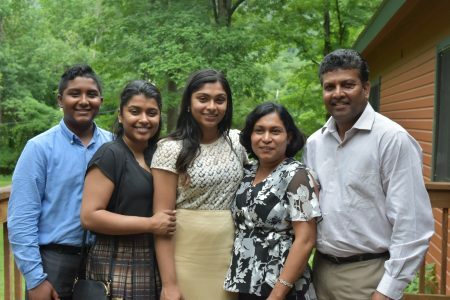 With her full scholarship to St. Lawrence, she is going to study Psychology with a minor in Arabic, with the goal of becoming a lawyer. 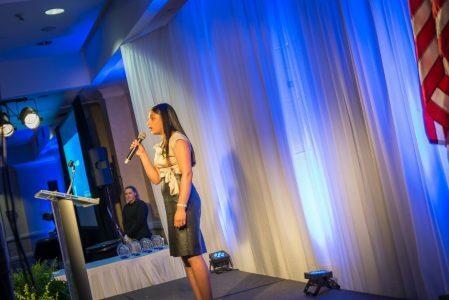 “I’m really inspired by Anzala [Alozie], who showed me that you can have so many different career paths with a law degree,” explained Jenesha. Throughout her time at the Y, Jenesha has made some incredible connections with YMCA staff who have helped her through her journey. Jenesha has worked her way into the heart of each and every one at the Y.